When we look few year back there was no channel like Digital Market. A channel that only exist on the web but it actually lead to you to somewhere real. Anyone, willing to walk on marketing path, have to adapt it. Changing yourself with the time and environment make you a species, wise words by Darwin. You need to survive the market and for that you have to adapt new trends. Here strategy or trends may changing with time but goal is still same. Let’s hear out the trends those are going to make to 2018. This age gap caused by the marketers lead you to inefficient funding in the campaign. A marketer with strategies from 5 year back will apply them into current situation. This inadaptability of strategy according to the time will give bad results. There may be little or no leads for your business. One have to make strategies those are updated with the time and customers. 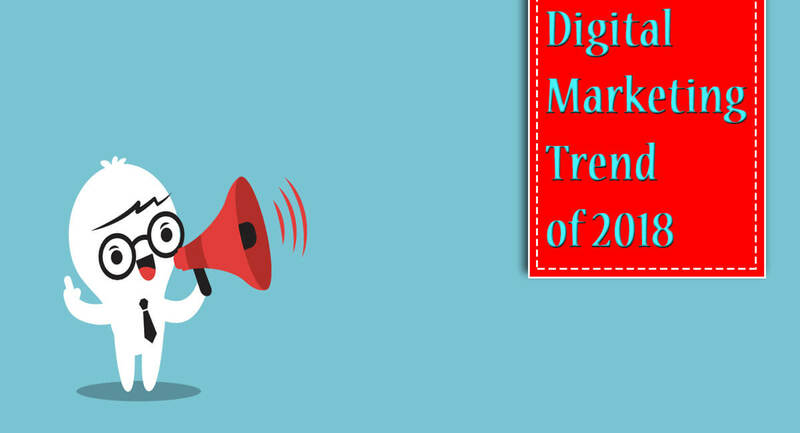 A digital marketer should groom self in trending skills like social marketing, SEO, advertisement, content marketing, mobile, local or others. Current skills will help a business in getting good marketing. This campaign is one most helping in marketing strategy. People are more active on social media, it doesn’t matter whether it came few years back. It is still a good platform to promote your products. There are few ways you can do that thing. Some time you can either make contact with the publisher or go to social media. Making contacts via these with customer will give more exposure to you. One can offers some discount or cash prize to users on social media for your promotion. If we look to the numbers of the current internet status, video streaming is on the peak. On an average there are 80% internet users who are streaming video in middle-east. People love to watch attractive or interesting media. Video is a low cost idea that can increase production rate with no big strategies. Hire marketers for business who know how video marketing works on social media. These are the people who understand the psychology of the users. They know how the customer think and what they like to watch. If you are trying to attract them with irrelevant video of their interest then you may lose some revenue. This type of marketing require both, digital and brick-and mortal skills. Marketer with the combined taste of both can manage this marketing. It is like you are making analysis of your customer and making offer to them as per their interest. For example if client is in supermarket he will receive offers and discount notifications. Also marketer can suggest new item following his purchase history. According to the Digital Marketing Institute, three-fourth of millennial want to receive location based mobile alert.